Looks like the kids were dressed for those papers! Lovely page! Great photo and page! Love those tree branches and all the stitched accents! What a gorgeous page!!! And everyone is dressed to match your paper :-) I like the 'family' in a frame. Such a perfect accent. This is soooooooooo gorgeous!!!! 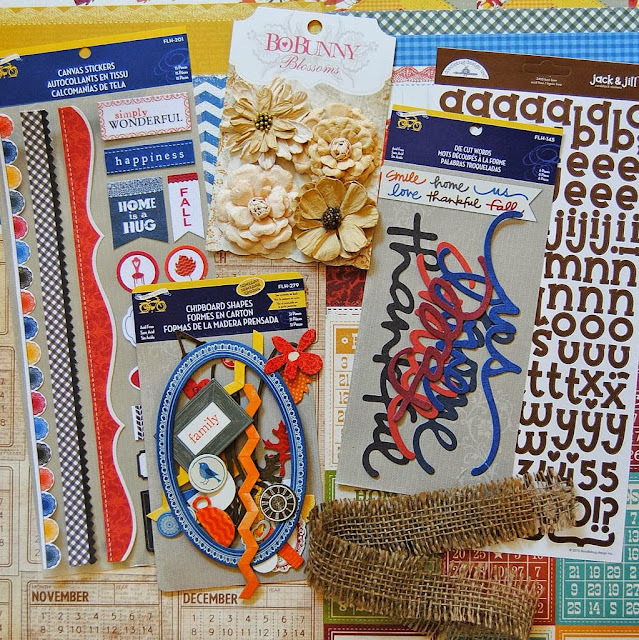 LOVING the colors, the photo and love love love the stitching on the LYB chipboard accents!!! What a great photo and the papers are perfect for it. Love all the little details. Truly a wonderful layout.Love that hidden jounaling tag. Great idea! so much fun! I love how that great photo remains the focus, yet you have so many lovely colors and bits!!! beautiful layout, Lisa. Love what you did with this gorgeous fall collection. love the leaves - great colors on this layout! gorgeous!! love those fall colors!! Such an amazing page, Lisa! I love a the bits you add to your projects-they always look perfect! great fall page-love the stitching! Terrific work! The leaves all work so beautifully across the page! Awesome layout. I love all the details you use. The photo is so perfect for this layout and paper. Creative! Such a pretty page with so many great details. Love the use of product packaging. Terrific family photo: all the kids are looking and smiling. That's a feat! 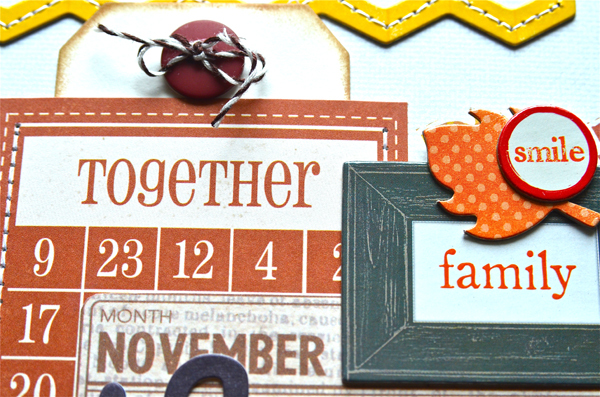 Loving how you incorporated that pattern paper into your layout! GORGEOUS as usual! !